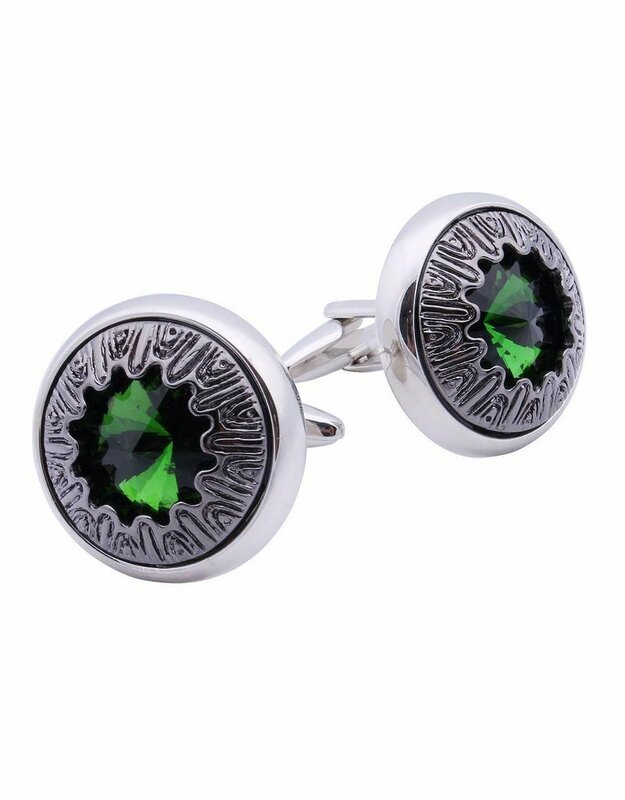 These green zirconia cufflinks are quite the statement. 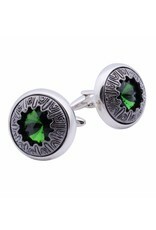 Heavy, rhodium plated sets surround green stones and will lend your ensemble a bit of gravitas. This is some serious jewelry. 23mm in diameter.